The weather is beautiful, sunny, warm Autumn. Quite unusual. I recall two years ago Warsaw was under snow on October 25th. 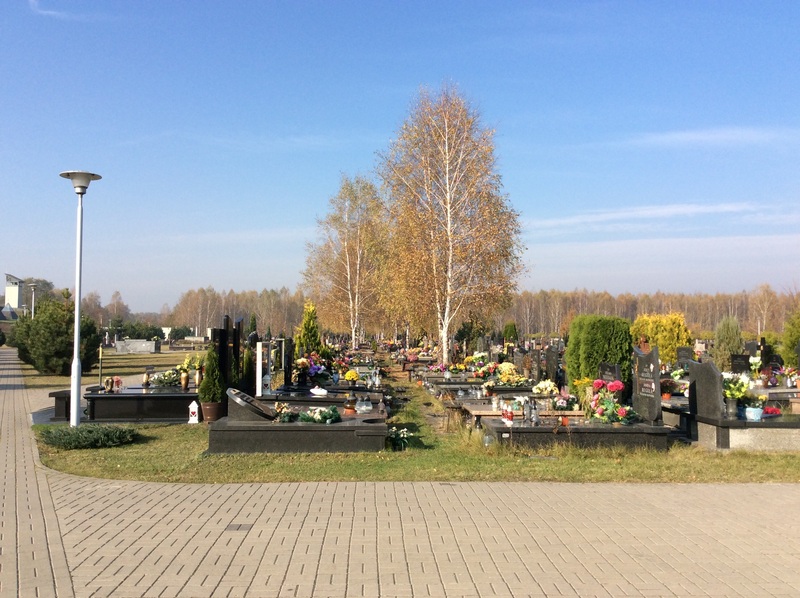 On November 1st all cemeteries in Poland, all graves, will be covered with candles. Me too, I will light candles in Warsaw. Cmentarz Południowy Warszawski w Antoninowie. I've only seen pictures of the lights and flowers. What a wonderful way to pay tribute to our forbears ! Now I know what time of year I want to visit Poland ! Hot spot in Central Warsaw. 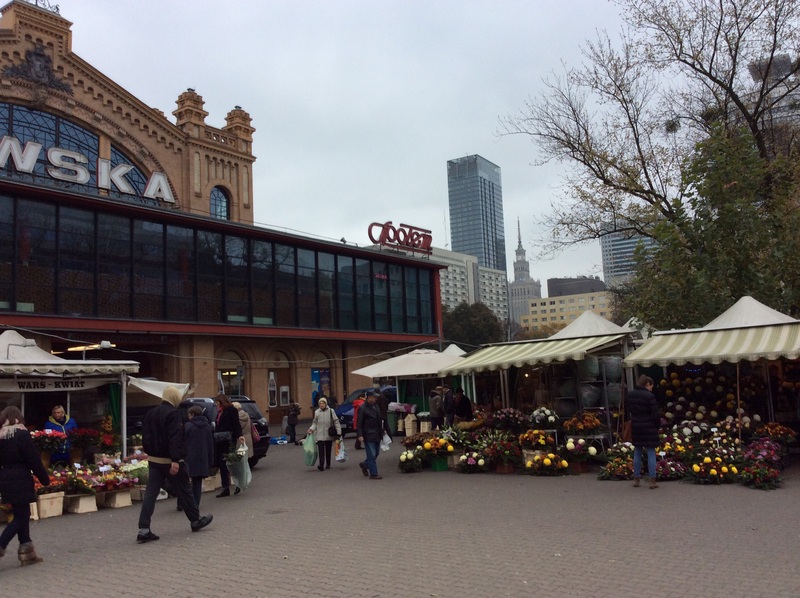 Hala Mirowska an old brick building, market, with flowers for November 1st. 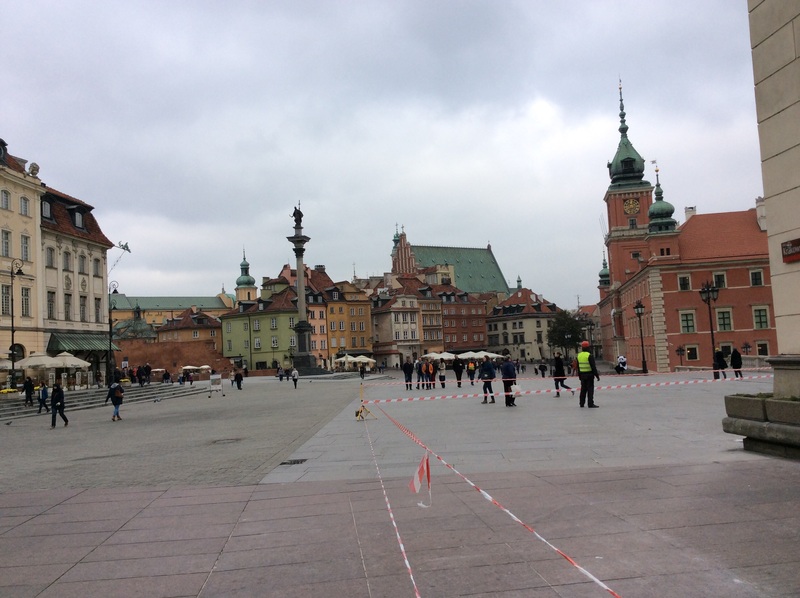 Starowka - Old City of Warsaw (reconstructed after WWII, from Canaletto paintings).